Cardio Debate > Cardio Notes > Diagnosis and Prognosis > ACC/AHA Hypertension Guidelines: What changed in 2017? ACC/AHA Hypertension Guidelines: What changed in 2017? New ACC/AHA Guidelines on hypertension, released late 2017, shifted focus towards healthy lifestyles as a form of prevention, as well as introducing new categorisations for high blood pressure. 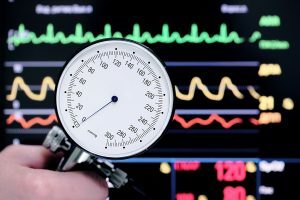 Physicians are advised to establish BP estimates based on two separate readings taken on at least two different occasions, again with an emphasis on ambulatory- or home-monitoring for the patient. And the new guidelines have a stronger emphasis on healthy lifestyles, with specific reference to the Dietary Approaches to Stop Hypertension (DASH) diet,  as well as increased exercise, smoking cessation and reduction in alcohol consumption. The recent ACC/AHA Hypertension Guidelines issued in 2017 introduced major changes in the classification of hypertension based on blood pressure levels. In particular, when identifying categories of BP in adults, this document defines normal: BP values <120/80 mmHg, elevated: BP ranging between 120-129/<80; Stage 1 hypertension between 130-139 or diastolic 80-89 and Stage 2 hypertension ≥140 or diastolic ≥90 mmHg.While there is an epidemiologic basis and rationale to support these categories, which may dramatically change the clinical view by moving downward all thresholds, mostly for the definition of normality and hypertension, the clinical proofs derived from RCT to support such a change are still not solid and are controversial. In fact, the same guidelines do not suggest any pharmacological treatment for “elevated BP” and recommend to consider pharmacological treatment in “Stage 1 HT” only when a cardiovascular disease is present or when estimated 10 years CVD risk exceeds 10%. In other words, the threshold to definitely recommend drug treatment remains above 140/90 mmHg. A conclusive remark can be made on the warning spotlight that these American Guidelines put on the 130 mmHg limit, which requires a thorough clinical evaluation to decide treatment beyond lifestyle measures which are obviously important in all categories. The 2017 American College of Cardiology/American Heart Association (ACC/AHA) hypertension guidelines have important novelties, and in particular (a) the new definition of hypertension, i.e. BP ≥130/80 mm Hg) and thresholds for hypertension stages (stage 1, ≥130/80–139/89 mm Hg; stage 2, ≥140/90 mm Hg), (b) the definition of elevated BP (systolic BP of 120–129 mm Hg) replacing the previous “prehypertension” term proposed by the Joint National Committee 7; (c) new thresholds (BP ≥130/80 mm Hg) and targets for treatment (<130/80 mm Hg) of most hypertensive patients; (d) the introduction of the global risk evaluation for treatment decisions. The recommendation to reduce BP to lower values are in agreement with the results of both several large meta-analyses and the SPRINT trial (Systolic Blood Pressure Intervention Trial) that have shown that a systolic BP reduction to <130 mm Hg may imply a greater benefit than < 140 mmHg. However, BP values considered in the SPRINT study, were obtained by heterogenous BP measurements (“unattended” , “attended” or “partially unattended” automatic BP) and still we need clearer indications and thresholds definitions for “unattended” BP values, as compared to all other BP measurement techniques. The guidelines propose to start treatment with 2 drugs rather than monotherapy in patients with a BP ≥140/90 mm Hg, possibly based on the observation that a more rapid BP control may provide long-term adherence to treatment and an increase in cardiovascular protection, although no randomized studies have compared the efficacy of initial 2 drugs regimen vs monotherapy on cardiovascular events. The approach to some groups of patients ((renal transplantation, atrial fibrillation, valvular heart disease or aortic disease, different race/ethnicity, patients with resistant hypertension) is included in the guidelines ; most importantly, the definition and initial management of hypertensive crisis or hypertensive emergencies is synthetically and clearly discussed and will be particularly useful in clinical practice. Chobanian AV, Bakris GL, Black HR, Cushman WC, Green LA, Izzo JL Jr, Jones DW, Materson BJ, Oparil S, Wright JT Jr, Roccella EJ, Joint National Committee on Prevention, Detection, Evaluation, and Treatment of High Blood Pressure. National Heart, Lung, and Blood Institute, National High Blood Pressure Education Program Coordinating Committee. Seventh report of the Joint National Committee on Prevention, Detection, Evaluation, and Treatment of High Blood Pressure. Hypertension. 2003;42:1206–1252. SPRINT Research Group, Wright JT Jr, Williamson JD, Whelton PK, Snyder JK, Sink KM, Rocco MV, Reboussin DM, Rahman M, Oparil S, Lewis CE, Kimmel PL, Johnson KC, Goff DC Jr, Fine LJ, Cutler JA, Cushman WC, Cheung AK, Ambrosius WT. A Randomized Trial of Intensive versus Standard Blood-Pressure Control. N Engl J Med. 2015;373:2103–2116. Mancia G, Fagard R, Narkiewicz K, Redón J, Zanchetti A, Böhm M, Christiaens T, Cifkova R, De Backer G, Dominiczak A, Galderisi M, Grobbee DE, Jaarsma T, Kirchhof P, Kjeldsen SE, Laurent S, Manolis AJ, Nilsson PM, Ruilope LM, Schmieder RE, Sirnes PA, Sleight P, Viigimaa M, Waeber B, Zannad F; Task Force Members. 2013 ESH/ESC Guidelines for the management of arterial hypertension: the Task Force for the management of arterial hypertension of the European Society of Hypertension (ESH) and of the European Society of Cardiology (ESC). J Hypertens. 2013 Jul;31(7):1281-357. doi: 10.1097/01.hjh.0000431740.32696.cc. Recent discussions on hypertension management focus on optimal target blood pressure values in people at low risk, in patients with high cardiovascular risk or diabetes, and in the elderly. Second, where and how should blood pressure be measured? In this context, the release of the new American guidelines on hypertension  is of interest. These guidelines correctly emphasize the importance of early detection and more of intense lifestyle intervention in people with increased risk of incident cardiovascular disease. A new classification of hypertension is introduced, where a systolic blood pressure of 120 mm Hg or above with a diastolic blood pressure below 80 mm Hg is classified as elevated blood pressure, and 130-139 mm Hg systolic and/or 80–89 mm Hg diastolic is defined as stage 1 hypertension. This will classify many more with hypertension, an estimated 46 % of the American population, as compared to 32 % with the previous definition . Drug therapy is recommended only to patients at high risk of atherosclerotic disease, with a much smaller estimated increase (from 34 to 36 %) in drug treatment . However, notwithstanding the importance of early lifestyle intervention in primary cardiovascular prevention, there may be drawbacks of labelling almost half of the American population being hypertensive . Compared to previous guidelines, lower target blood pressure (below 130/80 mm Hg) is now recommended for most patients, including also the older patients (taking due consideration to comorbidity, age, and frailty). This appears to be in line with recent evidence suggesting target values of 125–135/75–85 mm Hg in patients with cardiovascular comorbidity or diabetes . Also, the impact of guidelines may increase if the simplicity with similar target values to most people can be applied. Increased use of home blood pressure measurements and ambulatory blood pressure monitoring is recommended – to account for white coat hypertension and the white coat effect in treated patients, and for masked (untreated or treated) hypertension – and advice on the importance of correct recordings of blood pressure in the office is provided. However, there is no information on whether attended or unattended office blood pressure measurements should be the preferred way of recording. Following the results of the SPRINT study , this is an important issue not yet resolved, as unattended blood pressure gives considerably lower values than conventional office blood pressure measurements  and most evidence has been obtained by conventional attended office blood pressure recordings . The focus on the new American guidelines on early detection of cardiovascular risk factors and on primary prevention including life style interventions and lower blood pressure targets are welcome. It will be interesting to see how these recommendations will compare to the new ESC/ESH European guidelines on hypertension, which will be presented in June 2018.